I love simple recipes. Recipes that are simple and yields excellent results, I love them even more. Home baking should be hassle free, yes it does require accurate measuring but that is all it should take. Oh and quality of ingredients too. Correct recipe, a bit of patience and practice and you can be on roll. We all have seen this delicate French dessert in restaurant menu serving every kind of cuisine because its easy, popular, impressive and can make a perfect ending to a heavy dinner. 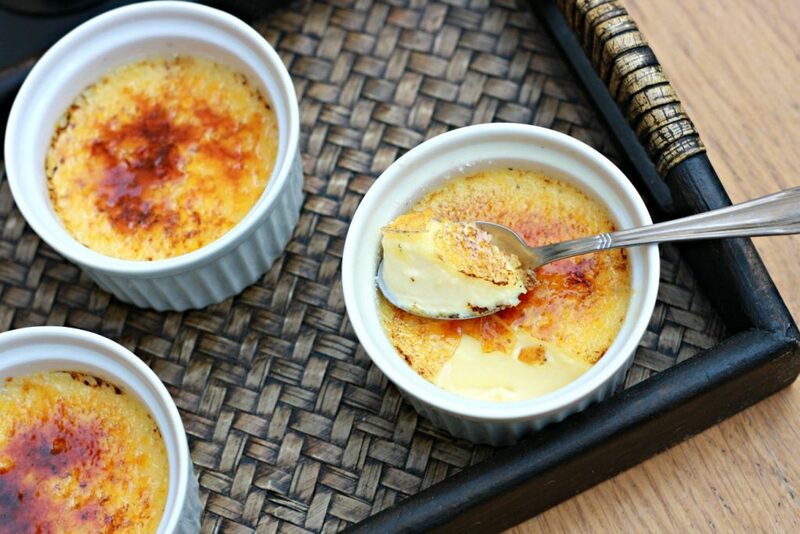 Its a rich custard base with hard caramel topping which when broken into oozes out the luscious vanilla speckled creamy custard. You can make it home today, yes sure, just four ingredients and following the method and tips below, you can make this impressive dessert right away. In a small sauce pan, mix cream, vanilla bean paste and vanilla pod and bring to boil. Remove from heat and allow it to cool a little about 15 minutes. Beat egg yolks and 1/4 cup of sugar until pale and frothy. Add little cream at a time whisking continuously making sure the cream is not too hot to curdle the egg yolks. 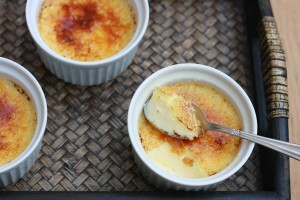 Pour into ramekins or small oven proof dishes equally. Place the ramekins in a large pan and pour hot water till water comes half way through ramekins. Bake in this water bath for 40-45 minutes until set but still a little jiggly. Cool and refrigerate for atleast two hours or overnight. Sprinkle 1/4 cup of remaining sugar dividing equally and evenly. 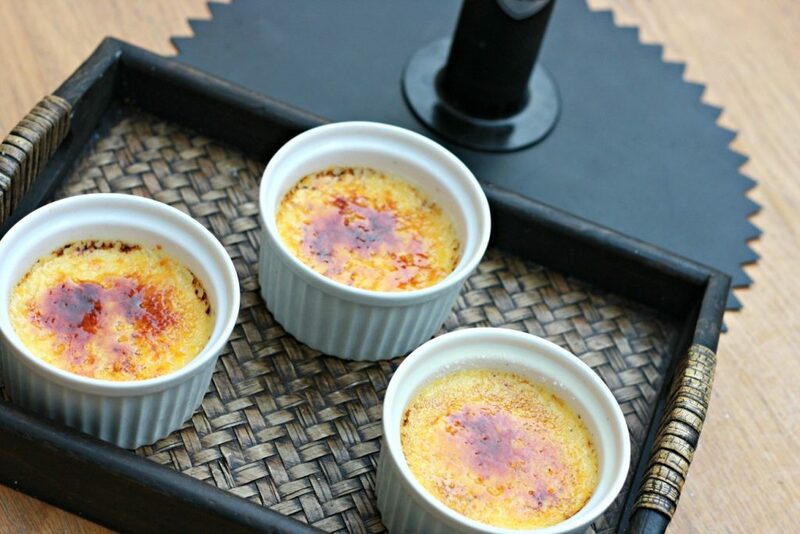 Remove the ramekins from refrigerator 30 minutes prior to caramelizing. Use propane gas torch to melt the sugar and form a crisp top. Alternatively use broiler setting in oven. Serve after 5 minutes resting. You can use vanilla essence around 1.5 teaspoon in place of vanilla bean but for optimum results, bean paste is recommended.